Sony's WE5 series LCD televisions consume less power than two standard 75w incandescent light bulbs. Sony today launched four new series of Bravia LCD televisions, which will be available in May and July. The new models mean that the company's entire LCD television line-up will soon be Full HD 1080p. Carl Rose, Sony Australia's managing director, said, "With some big changes to the television landscape on the horizon, it is the right time for us to be talking about some of the changes we expect to see throughout the coming years". 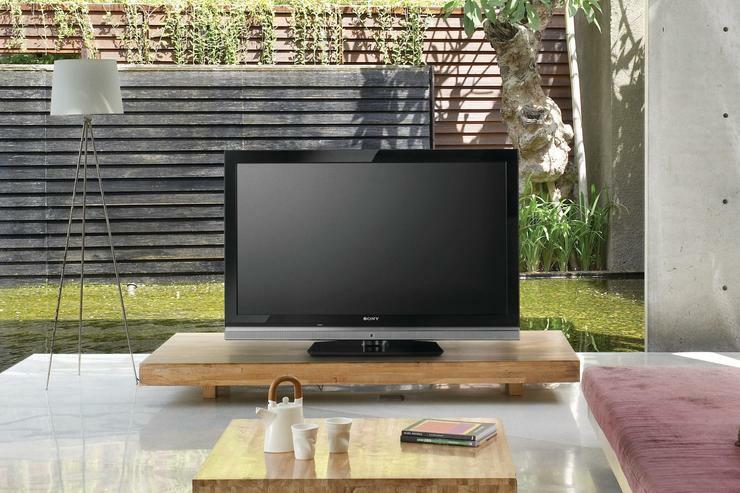 One of the series launched at the carbon-neutral event was the Bravia WE5. The Bravia WE5 series TVs use HCFL (hot cathode fluorescent light) back-lighting and are designed to be as power-efficient. The 46in Sony Bravia WE5 has garnered a five star energy-efficiency rating, and the 40in model is rated at 4.5 stars. The Sony Bravia WE5 TVs allegedly consume less power than two 75W incandescent light bulbs and feature power-saving features like a presence sensor that switches off the screen when viewers leave the room. Also launched were the new Sony Bravia Z5500 TVs, which use second-generation MotionFlow 200Hz motion-compensation technology. This is an evolution of the original 200Hz technology used by the Sony Bravia Z4500. It means the Sony Bravia Z5500 series TVs deliver the fastest framerate currently available on LCD televisions. Available in 52in, 46in and 40in sizes, the Sony Bravia Z5500 TVs will be on store shelves in July. Sony's range of entry-level TVs was also refreshed, with the announcement of the W5500 and V5500 series of Bravia LCD televisions. TVs in both series have 1080p Full HD resolutions and use Sony's proprietary Bravia Engine 3 video processor. The V5500 TVs miss out on the 100Hz MotionFlow smoothing of the W5500 series. Priced at $1799 and $2299 for 32in and 40in models, respectively, the Sony V5500 series will be available from May. Available at the same time will be the 32in, 40in and 46in Sony W5500 TVs, which will be priced at $2099, $2899 and $3499, respectively.